Our life. 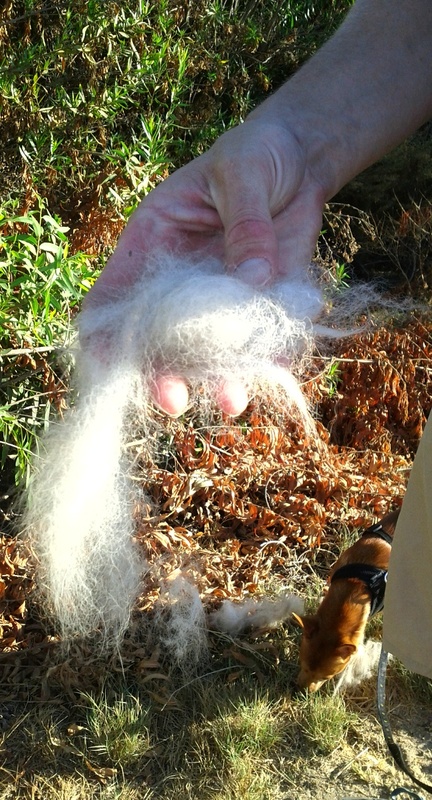 In photos and short ramblings. We decided to spend the afternoon on Christmas Day checking out the Vanalden Cave after seeing it on another blog. 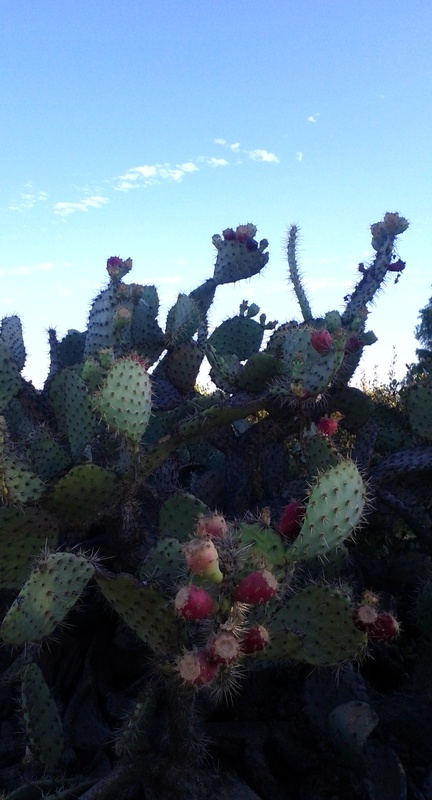 The hike was short, probably about a half mile into the canyon… so it is a quick reward with not a lot of work. 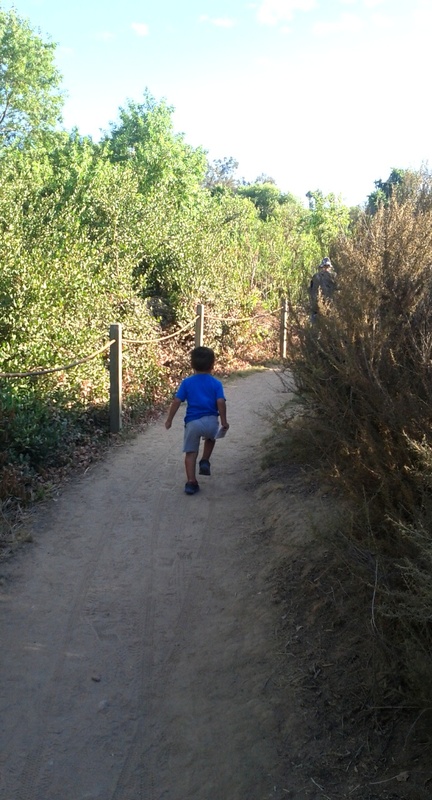 A perfect hike for the little man. Once we arrived, we noticed a big face carving on the left side of the cave’s entrance. Inside, much more of the same continues, as the cave’s sandstone walls are covered with carvings of faces left behind by the generations. Outside, there is a rope swing dangling off a tree. How fun is that? While Tuggy played for a bit, I checked out some of the moss and plants growing on the outside walls. There was a pathway to the right of the cave that leads up to the top of the cave, but, despite its appeal, the recent rains discouraged us from any attempt to get up there. Sadly, it is clear that this is a popular night time hangout for some — bottles, trash, graffiti, and ashes have been left behind. In that respect, this wasn’t the ideal hike for my toddler on Christmas Day, but the cave itself was neat and worth the drive out there at least this one time. Tuggy didn’t mind at all, only saying that the cave was “really awesome and cool” as we headed back towards the trailhead. Head North on 405. Take 101 North. Exit Tampa, make a left. Left on Ventura Blvd. Right on Vanalden, and up the hill to the dead end. Street parking is plentiful. For GPS, just navigate to the corner of Vanalden Ave & Gleneagles Dr in Tarzana. 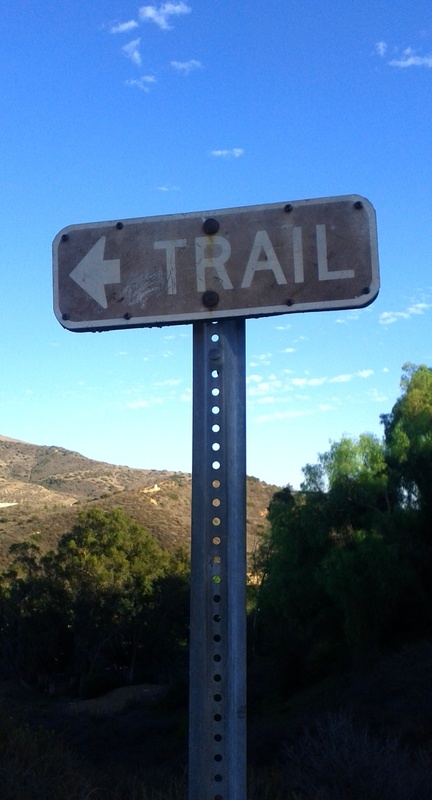 Can’t miss the trailhead at the dead end. 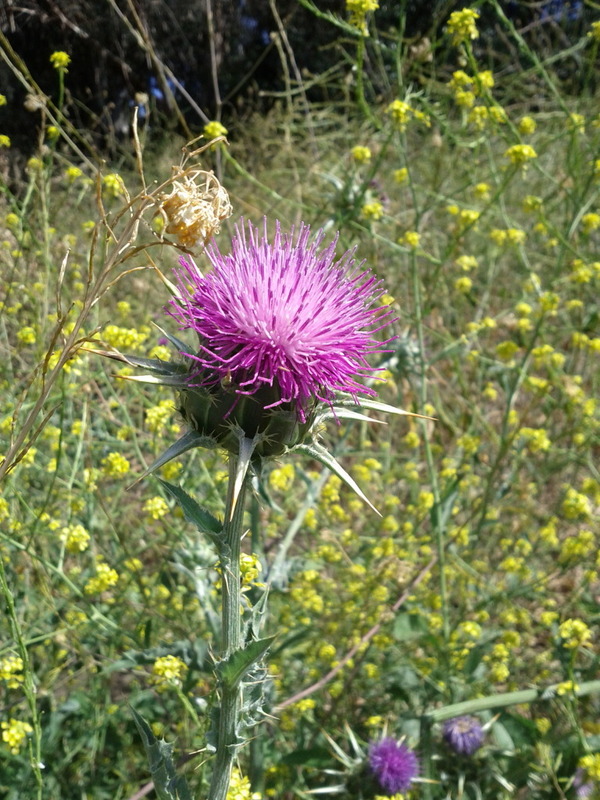 I’d come across Deer Canyon Park Reserve on another blog and booked marked it for another day. Yesterday, we had the intention to visit Santiago Oaks Regional Park, but somehow I missed the entrance an ended up just down the street from Deer Canyon. Following my GPS instructions, I navigated our way to the not-real-obvious entrance to this park, which is found at inside a neighborhood, near a gated community. With this oddly placed park entrance, comes free parking on the street– there seems to be no specific parking lot for this park. This park is dog friendly. 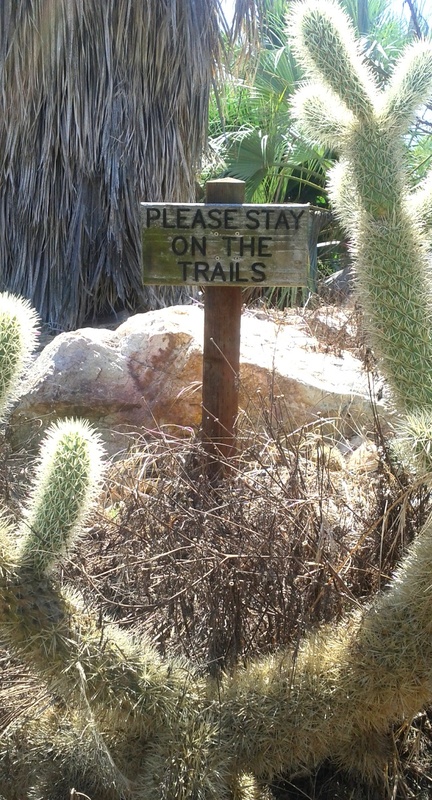 There are bags near the entrance and trash cans along the various trails as well. 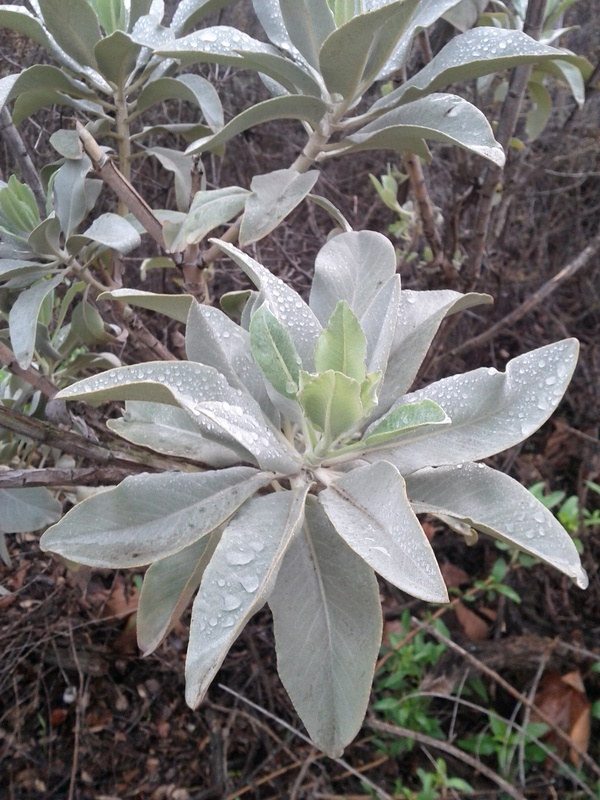 We went on a drizzly day, with muddy dirt trails and gray skies, and plants showered with rain drops. Perfect day for a nice walk in the rain. 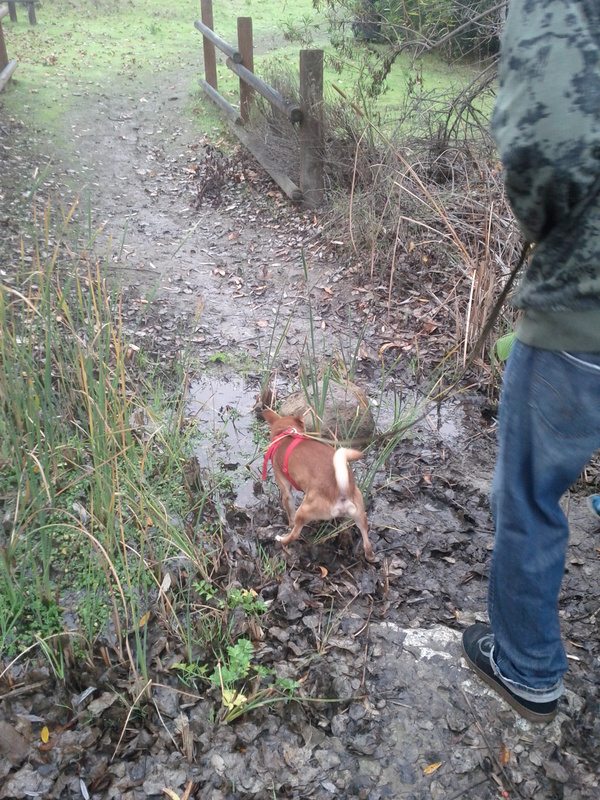 Diesel had fun. Wilson would have preferred the warmth of his blankets at home, but he did ok. His papa carried him most of the way, as usual. Daddy stopped for a moment to get a break, and a kiss. 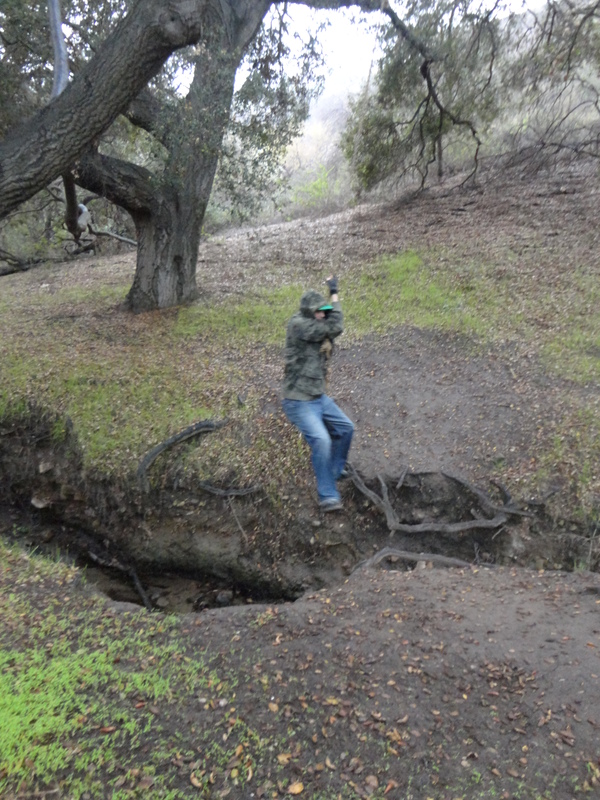 We found a tree swing along one of the trails that follow this tiny creek. Not sure where all the trails go, but I have read the park itself spreads across 103 acres. We will be back another day to explore the rest. 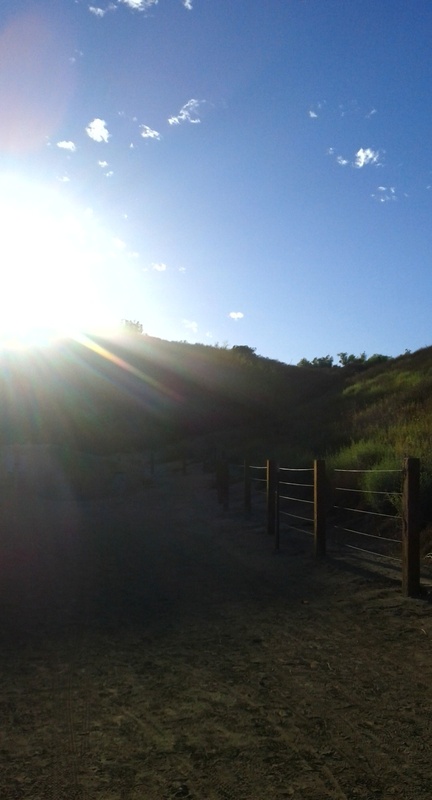 From West Anaheim, head east on the 91, exit Weir Canyon to the right. Few lights down, turn right on Serrano Avenue and an immediate right onto Canyon Creek Roan. Down a ways, you turn left onto Sunset Ridge Road and right onto Hollow Oak Road. Park on the street near the private gate (dead ends here). 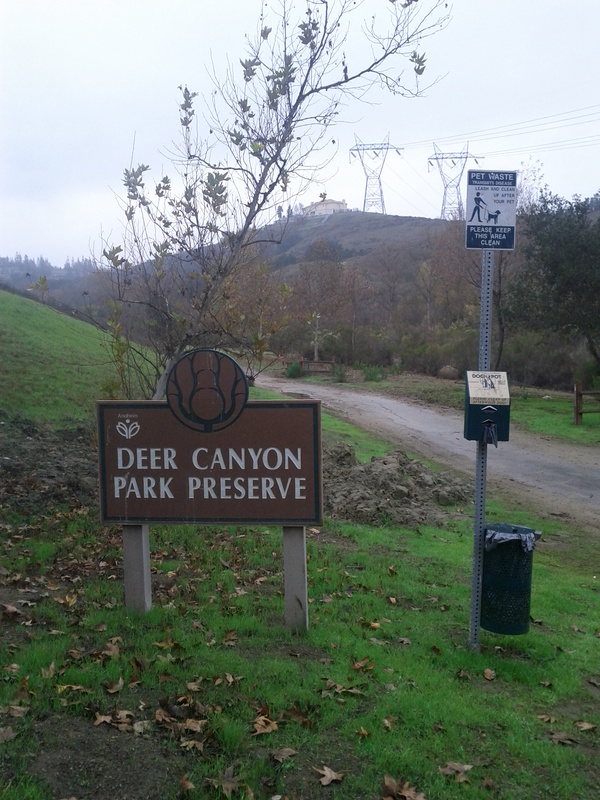 Entrance to Deer Canyon Park Reserve is on the left. After checking out the Environmental Nature Center, we hadn’t quite gotten rid of the adventure itch so, we decided to go down the road to the Muth Interpretive Center. From the parking lot, except for this sign, you can’t even tell that the nature center is there. 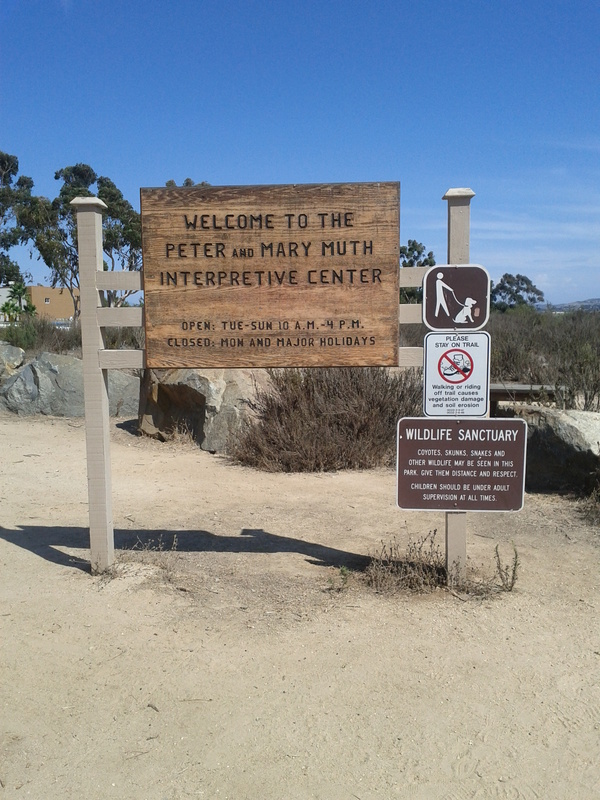 The Muth Interpretive center is carved right into the bluffs, view amazing panoramas of the bay. As we walked back to the car, the kids stopped to take some silly pics. 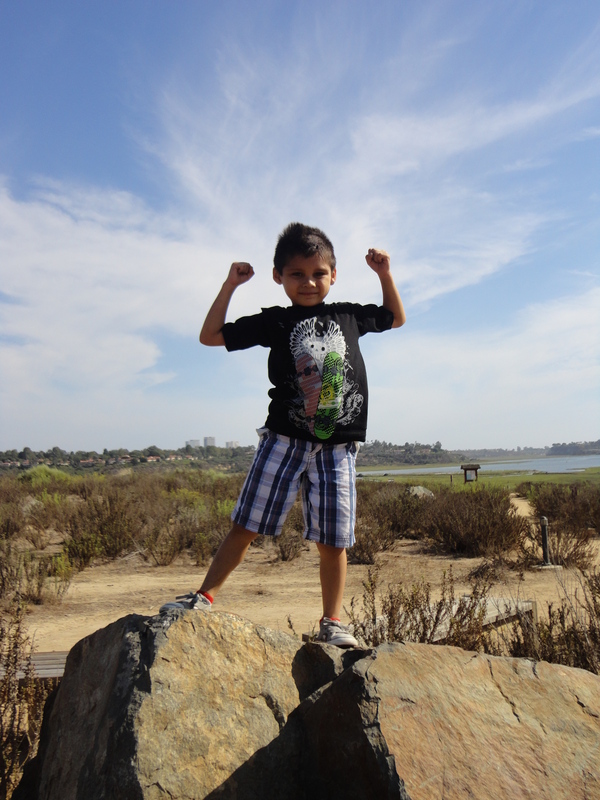 This one of Jason, being king of the mountain, was one of my favorites. 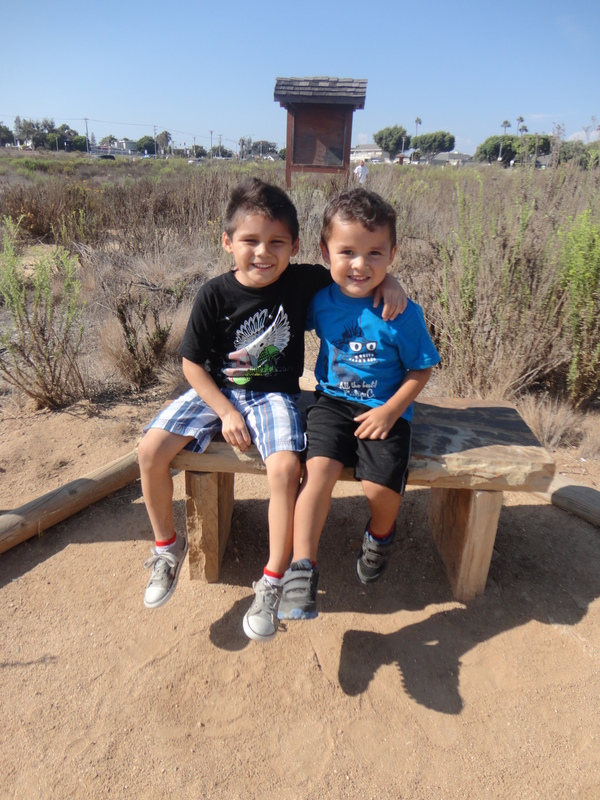 After soccer practice, we decided to venture out to Newport Beach to check out the Environmental Nature Center. Tuggy got to spend time with his best friend and cousin Jason and we got to see some really neat things. One of my favorite features is the butterfly house. Apparently, we had missed some butterflies emerging from the chrysalis earlier that day, but it was neat to see butterflies up close. 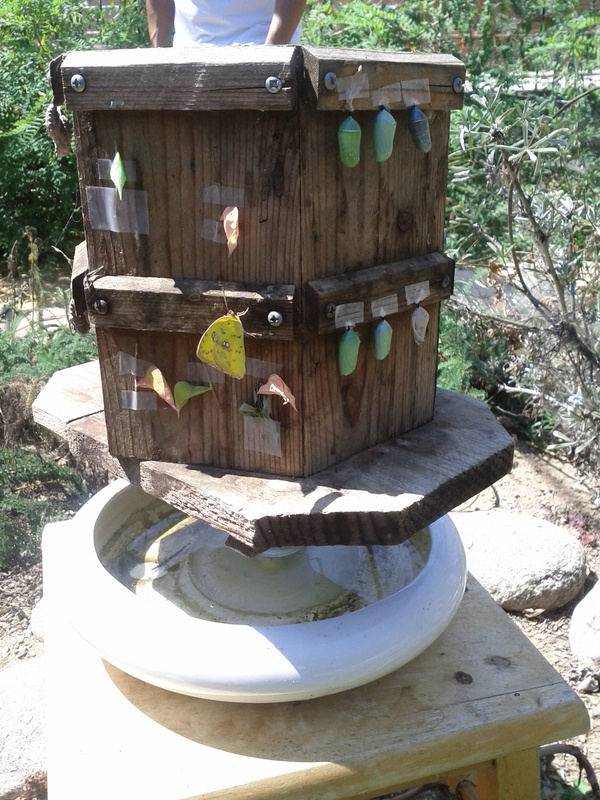 They had Monarch and Cloud Sulphur butterflies fluttering around. 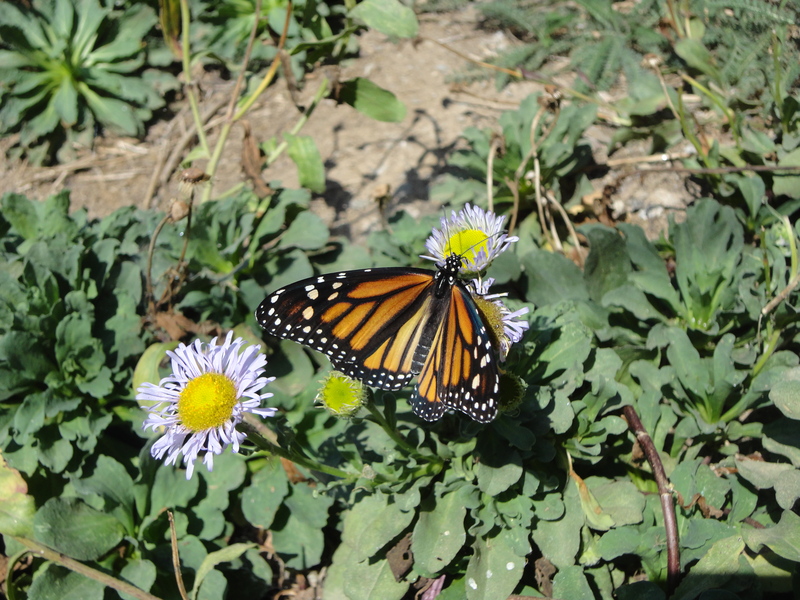 We had seen butterflies up close when we hiked in Monrovia Canyon, but here we got to see several species, and learn a little bit about them too. 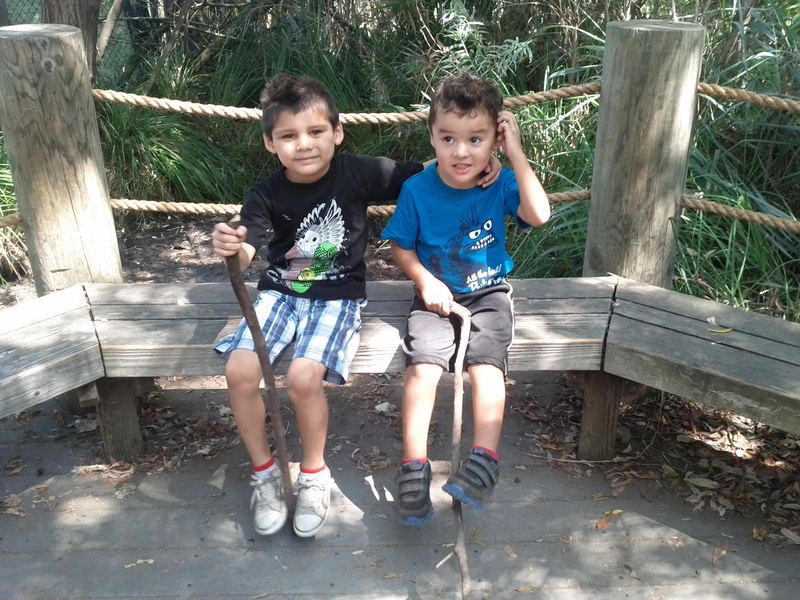 After the butterflies, we ventured out on the trails. I was amazed at how far back the trails extended, as the grounds didn’t seem as large as they were. 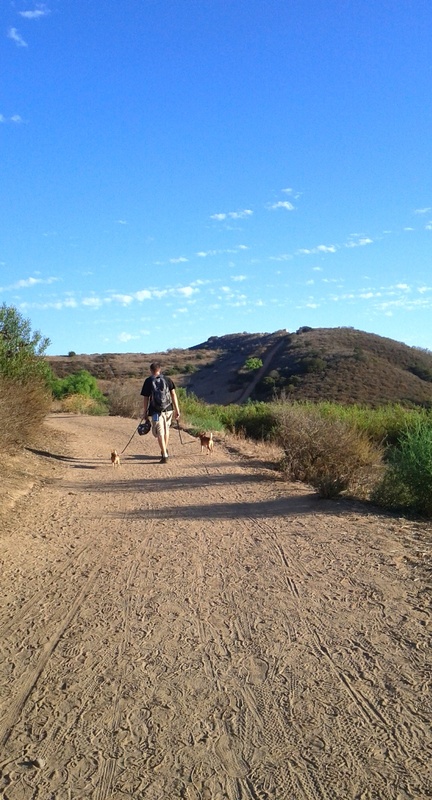 On our list of summer “hit list” was going out on a hike with the pups. With the summer heat packing a punch these days, it has been hard to get the motivation to hit the trails. Luckily, this Sunday had a nice breeze, beautiful skies, and while the weather was hot out, it was not muggy and sticky — just the right kind of day for a short hike with the boys (pups included). 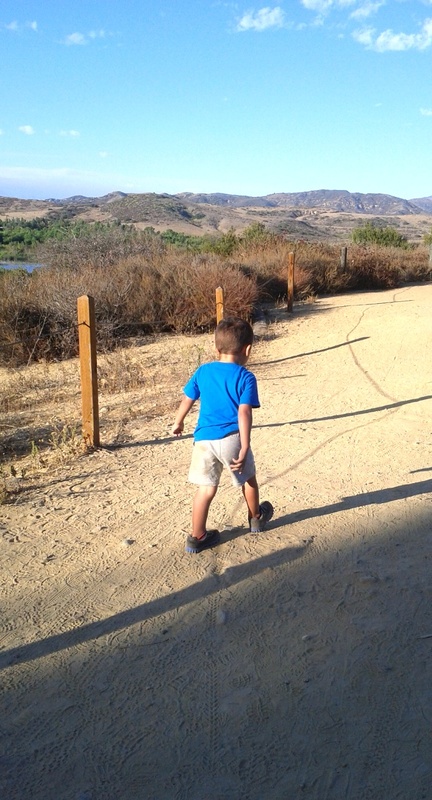 We had been eyeballing Peters Canyon Regional Park as a good place to check out, because of views of the lake, toddler appropriate trail distance, and location in Orange County. We were not disappointed. Our Visit began as usual, with Tuggy paying special attention to the signs. 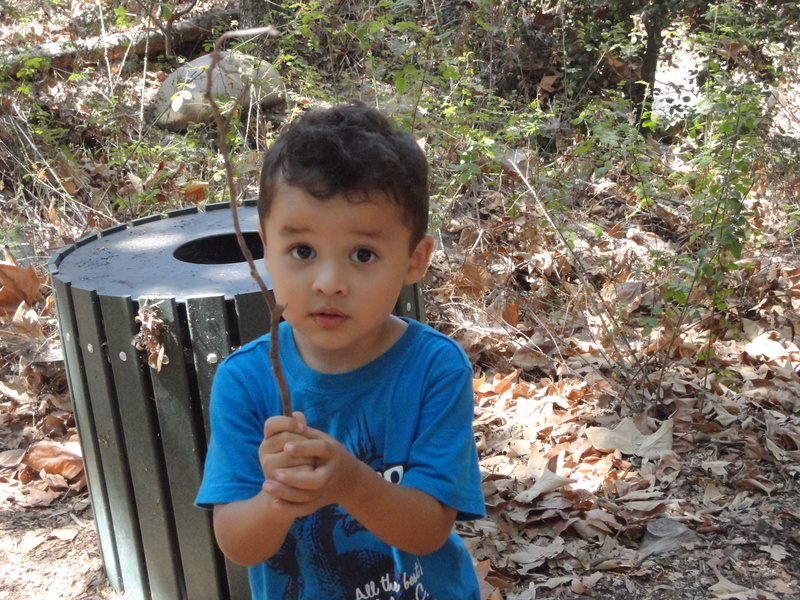 He picked up his map and stopped to study it repeatedly during our first part of the hike. 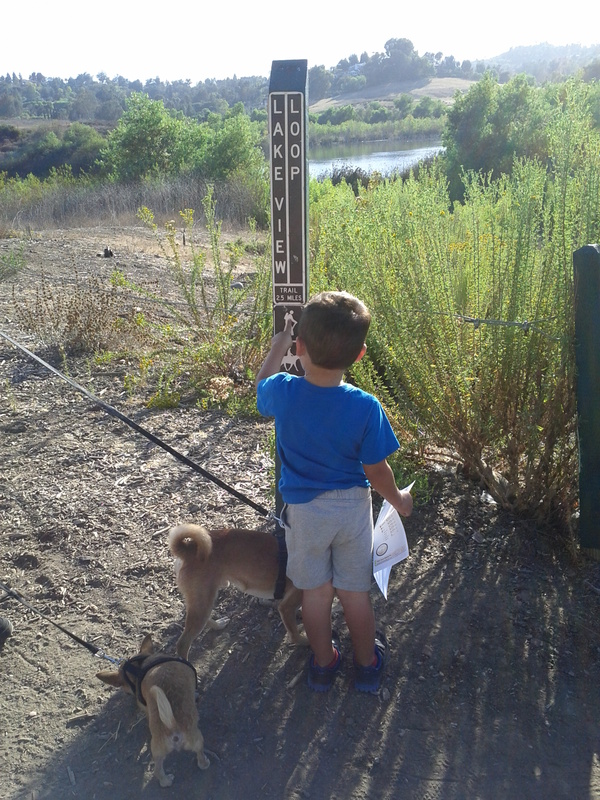 This made me a bit nervous, but soon enough the sounds of the birds, views of the lake, and other hikers distracted him from this little map he carried. At one point of our hike, we ran across a lady who picked up the pace as she passed us up. Tuggy, the funny boy that he is, felt the need to challenge her to a race. 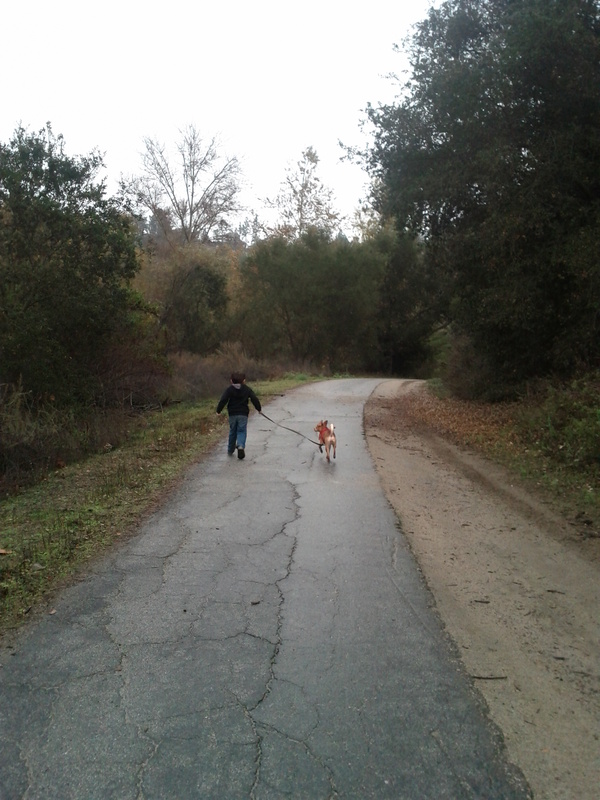 I was too busy laughing to get a shot of this, but he took off running beside her up a hill. The woman laughed, and had a good time “racing him” and had a good laugh before she left us in the dust. 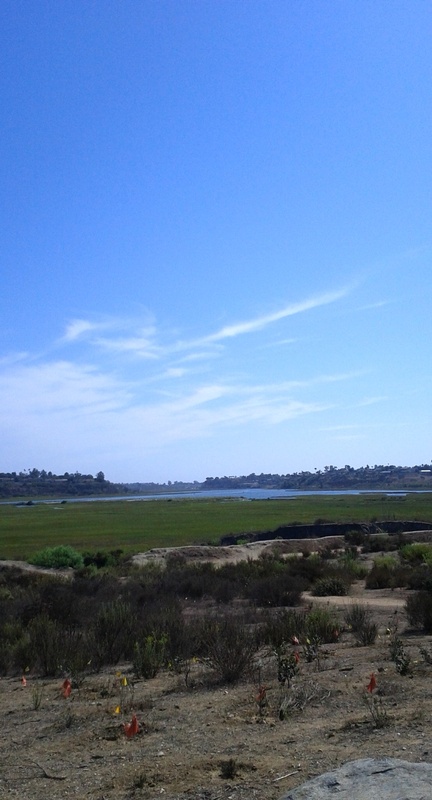 Despite not really being too far from homes and roads and traffic, the views were quite a treat. 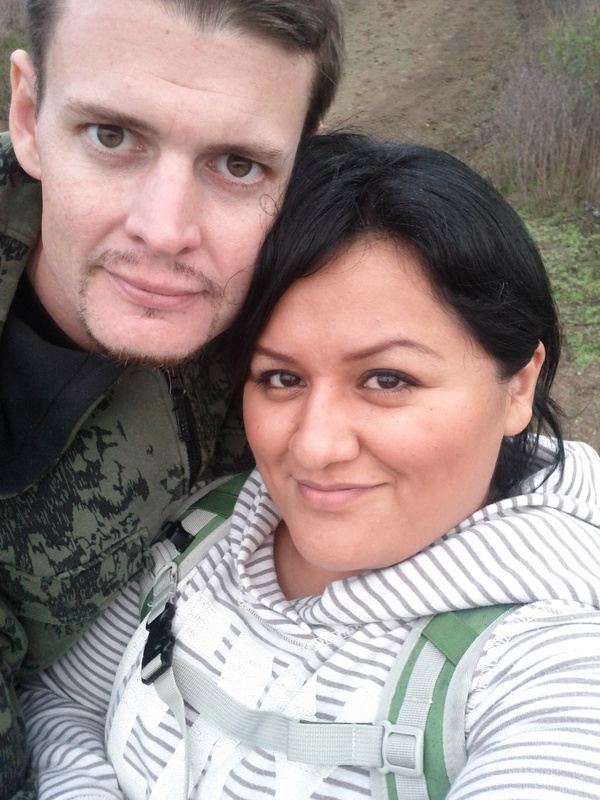 We had a nice hike under the bright blue sunny skies. The dogs got a great workout. In this high tech world, its almost a given that my son will love all things technology. In many ways, like his mama, he already does. 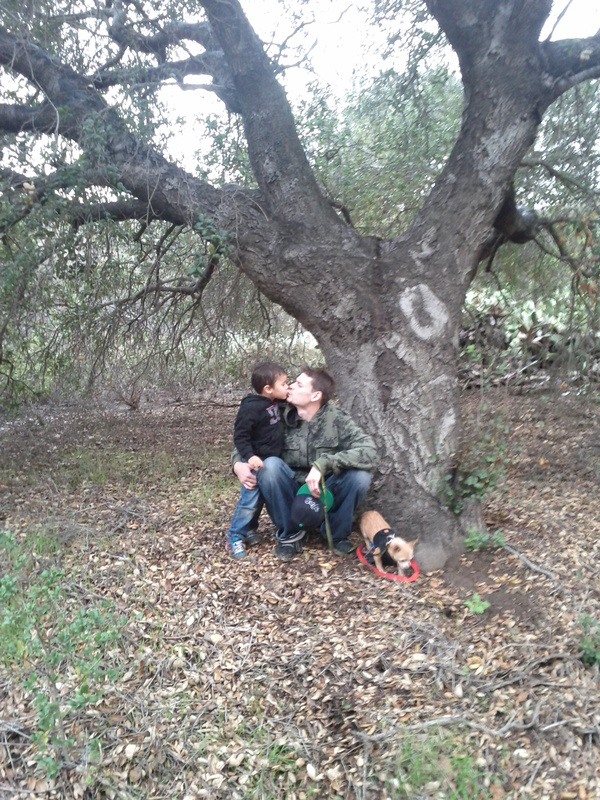 However, one thing I have consciously worked towards is instilling a love of nature in my child. 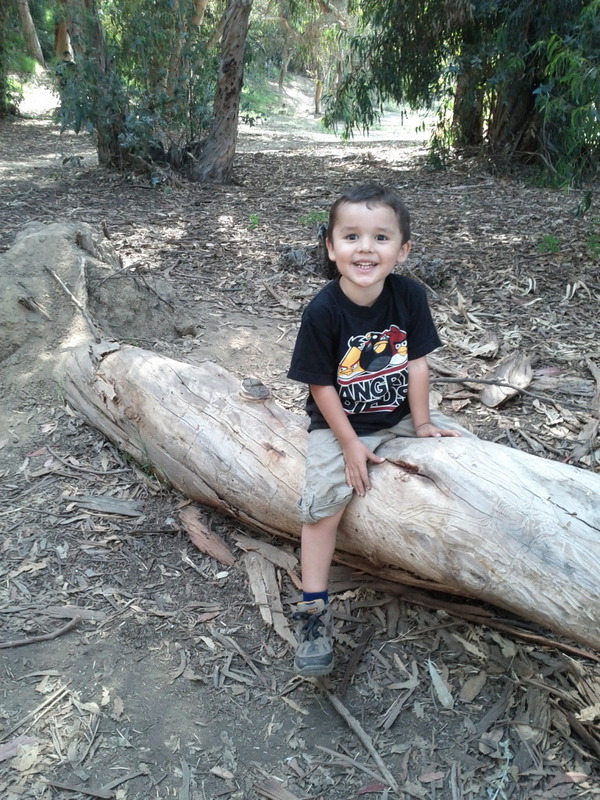 Its hard not to smile when I see a sparkle in his eyes and the laughter he belts out as he plays outside or when he asks about the “next adventure” as we finish out a day of outdoor play. 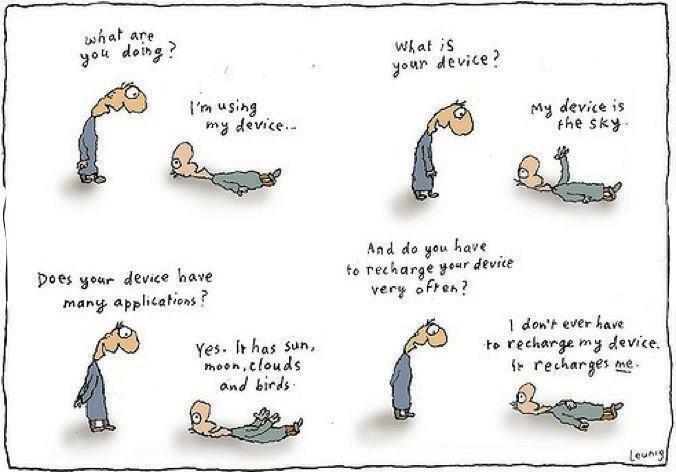 I guess thats why, when I came across this cartoon by Michael Leunig, it really struck a chord. I LOVE it! After checking out the aquarium earlier in the day, we weren’t quite done. 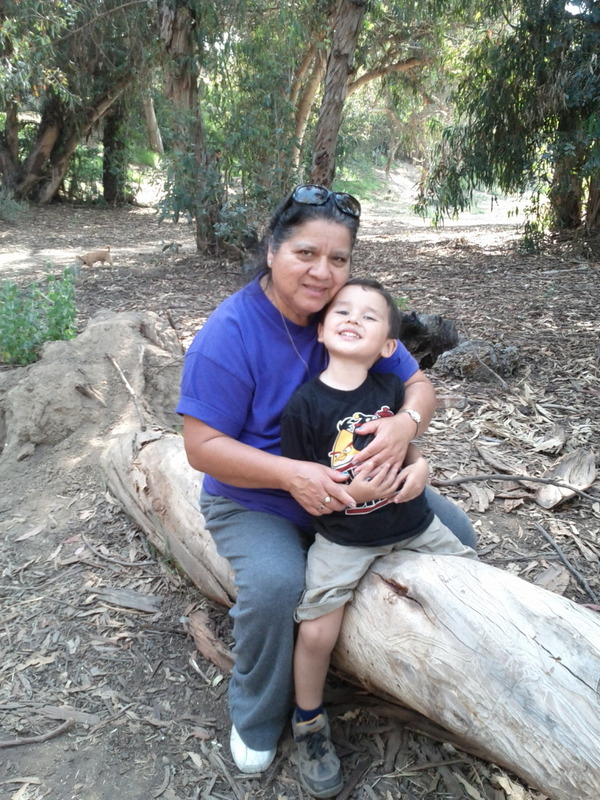 Tuggy wanted to know what the next adventure was, so my mom agreed to join us for a walk at Gum Grove Park in Seal Beach. We stopped by to pick up the pups, and headed back out. Although we visited recently, you can see why we came back. 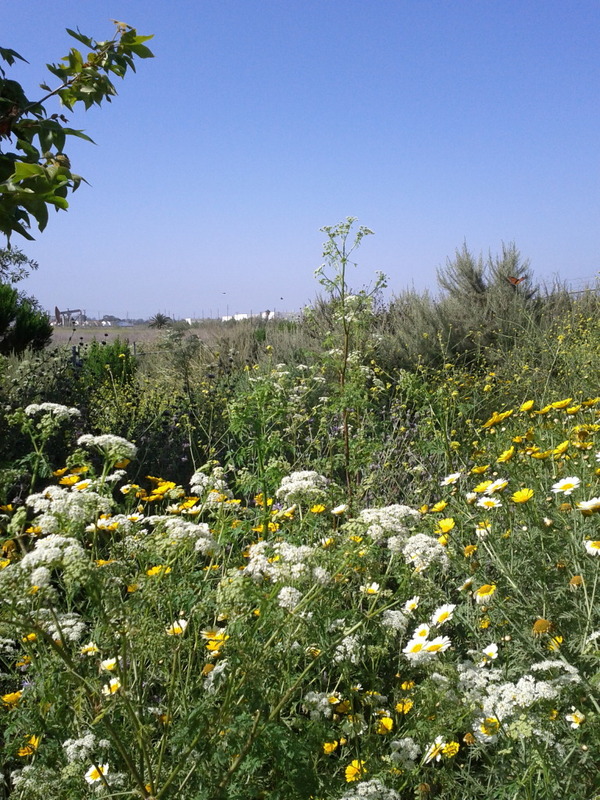 It is hard not to enjoy walking here. 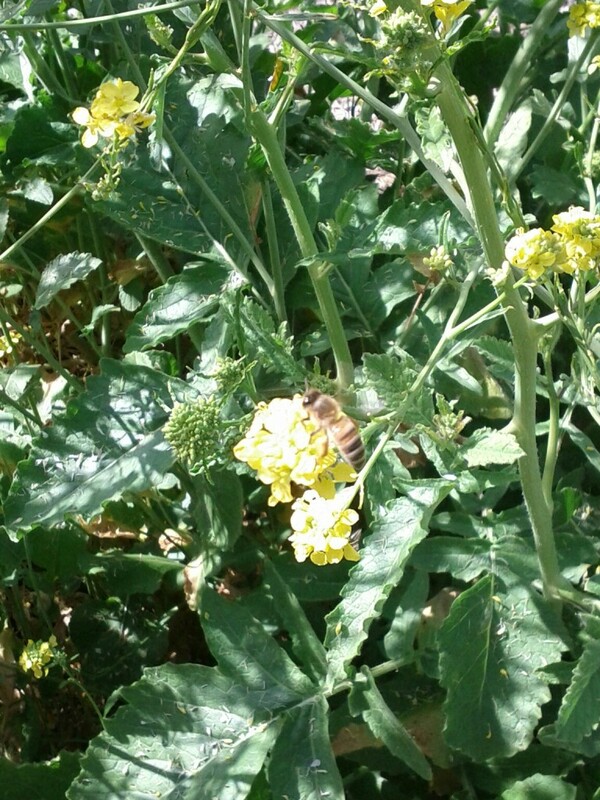 With so many butterflies and bees abound, I was set on capturing a bee up close. I only had my cell phone camera, which has no zoom. After many attempts, I finally got it. Those bees are fast! 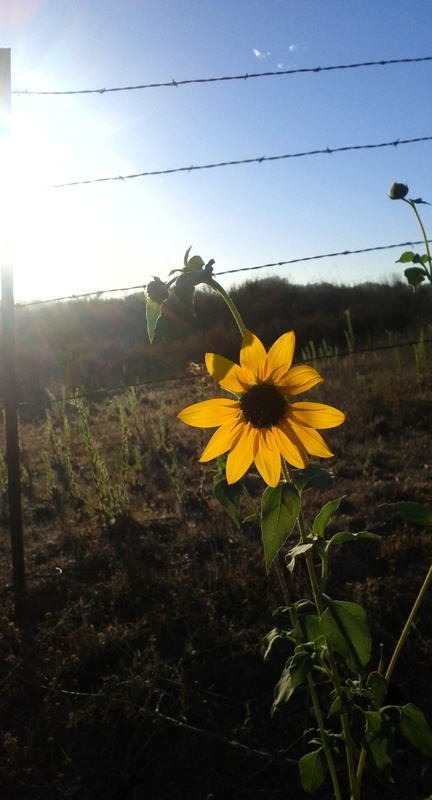 Of course, in the springtime here, the flowers are always willing participants.